It’s always the bugs you come across when you are trying to do something else that can be the most frustrating. Today while creating some dashboards for one of my clients the views returned blank after saving them. I then had a look at the SQL built in dashboards to see how widespread this issue was and had the same results. The dashboard pane was blank and the tasks also did not display. First I tried restarting the console with the /clearcache command and this usually address display issues and had the same result. I then tried a console on a different server and then I tested using the web console both loaded the dashboards properly . So I was dealing with a server issue or a profile issue. A bit of research suggested that sometimes this problem can be caused by a corrupt .net installation. As this requires change approval in order to address I first tested the profile option by logging on to the same server, where I experienced the issue with another user account. This time the dashboards loaded correctly so it’s probably not a .net issue. Considering that /clearcache didn’t work I wanted to first try and remove the momcache.mdb cache file located in C:\Users\<user account>\AppData\Local\Microsoft\Microsoft.EnterpriseManagement.Monitoring.Console in order to test all options before recreating the user profile. After deleting momcache.mdb and re-opening the console all the dashboards now loaded correctly. This entry was posted in Console, SCOM 2012 R2, Troubleshooting and tagged #2012 R2, #Console, #SCOM, #Troubleshooting on June 11, 2015 by Warren Kahn. When SQL Server runs on a computer with more than one microprocessor or CPU, it detects the best degree of parallelism, that is, the number of processors employed to run a single statement, for each parallel plan execution. 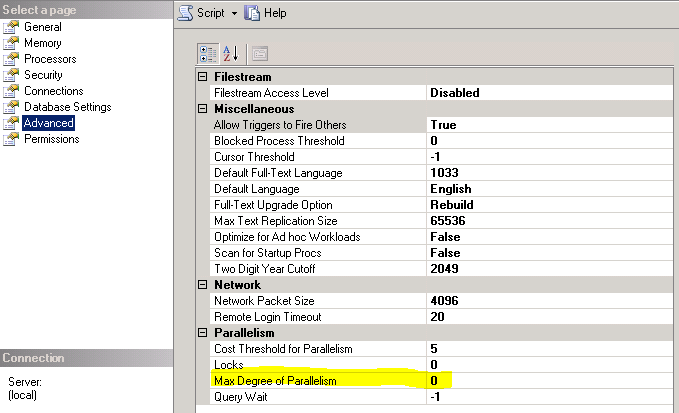 You can use the max degree of parallelism option to limit the number of processors to use in parallel plan execution. This becomes an issue on servers with hyper-thread enabled processors, as by the nature of hyper-threading the system thinks that there are more cores available then there physically are. In this example the SQL query returned a value of 1 and the PS returned a count of 4 cores, the calculator recommends an MDoP setting of 4. I’ve had situations in the past where no amount of tweaking seemed to improve console performance and this certainly a factor I will be taking into account in the future. Definitely give Marnixs’ article a read as he covers the topic in more detail with additional findings from his field experience. There are other ways to improve console performance, I will combine them together in a future blog post about complete console tuning. This entry was posted in Best Practise, Console, SCOM 2012, Troubleshooting and tagged #2012, #BestPractise, #Console, #SCOM, #Troubleshooting on December 9, 2014 by Warren Kahn. If, like me, you have tried to add company knowledge in SCOM 2012 you may have run into a few errors. Step 2: Install Visual Studio 2010 Tools for Office Runtime Link to download VSTO 2010 (64 or 32): http://www.microsoft.com/en-za/download/details.aspx?id=35594 Note depending on the version of Office 2010 you have installed you will need to install the x64 or x32 version of VSTO 2010. 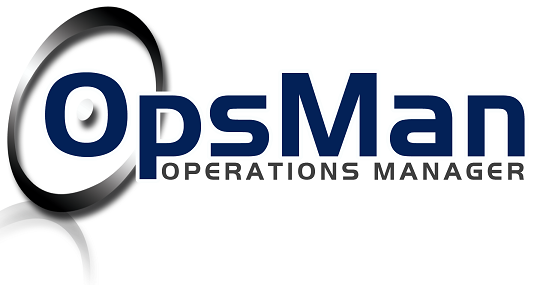 Step 3: Reboot the OpsMgr Console machine. Note there is not prompt in the VSTO setup requiring you to reboot but this is something you have to do otherwise it will not work. This entry was posted in Console, SCOM 2012 and tagged #2012, #Console, #Troubleshooting on March 20, 2013 by Warren Kahn.